Kentucky Medical Spa Insurance. Medi spas combine cosmetic beauty and relaxation treatments with health care services normally only available at a doctor's office. Cosmetic amenities are provided by estheticians, and services include electrolysis, facials, hair care, manicures, massages, nutritional counseling, pedicures, and tanning. 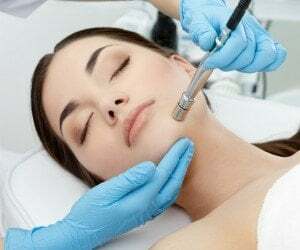 Medical services, such as Botox treatments, chemical peels, dermal fillers such as Restylane and Juvederm, laser hair removal, light treatment for acne, liposuction, microdermabrasion, permanent makeup, skin corrections and other minor surgical treatments are performed by a medical doctor. Before offering medical procedures, the medical director evaluates each client. Records are established and maintained accordingly. While most of these establishments are day spas, some provide food, and/or lodging for extended stays. There are certain risks that are associated with owning and operating a KY medical spa. Since you offer dermatological treatments, such as laser treatments, chemical peels, and Botox, and are working with your clients in such an intimate capacity, you and your staff work with technologies that alter physical appearances and have the potential to cause adverse effects. Because of the nature of your business and the inherent risks that are associated with it, protecting medical spa with the right type of Kentucky medical spa insurance coverage is vital. Kentucky medical spa insurance protects your facility from lawsuits with rates as low as $97/mo. Get a fast quote and your certificate of insurance now. As a medical spa owner, you strive to offer your clients the best experience possible. You offer a wide-range of services, such as treatments to combat the effects of skin aging, acne, hyperpigmentation, hair removal, and a variety of other undesirable skin conditions. You also strive to offer your clients with the most relaxing experience possible be providing a variety of relaxing and rejuvenating services, such as massage, wraps, and facials. All of these services are offered in an environment that mimics a day spa so that the clientele that you serve can truly relax, unwind, and have the most experience total relaxation and the most effective results possible. Despite the fact that you take every precaution to offer the best care for your patients, errors can happen and unforeseen circumstances can arise. A client could file a lawsuit against you, alleging that you made an error that caused permanent damage. A vendor could slip and fall over a misplaced wire and sustain an injury. Your property could be damaged as a result of an act of vandalism or a fire. These are just some examples of the problems that could occur. As the proprietor of a KY medical spa, you are liable for any accidents, injuries, and any legal claims that may be taken against you or your staff. You are also responsible for the building that your spa operates out of, as well as the contents within it. Should something go awry, you could be looking at costly expenses that have the potential to cause significant financial upheaval. For these reasons, carrying the right type of insurance coverage is vital. Kentucky medical spa insurance safeguards you from the above-mentioned risks, and more, and can prevent you from losing a substantial amount of money. What Type Of Insurance Should Kentucky Medi Spas Have? Commercial General Liability - This type of insurance coverage protects you from any third-party accidents or injuries that could arise on your commercial property. It also protects you from any legal disputes that may arise as a result of any accidents or injuries that occur on your property. Errors and Omissions - Also referred to as professional liability or medical malpractice insurance, this type of coverage protects you against lawsuits that may be filed against you if a client claims the services you provide caused an illness, an injury, or an infection. Commercial Property - If your medical spa is damaged as a result of an act of vandalism or a fire breaks out, commercial property insurance will help to pay for the necessary repairs. It also covers the contents within your medical spa, including the equipment and tools that you use to treat your patients, so if machinery is stolen, your policy will protect you from the financial losses. Workers' Compensation - As the proprietor of a medical spa, you are responsible for any injuries or illnesses that your employees sustain. Workers' comp insurance will cover the cost of medical care that your staff requires as a result of a work-related accident or illness, as well as lost wages. It will also help to cover the cost of any legal action a staff member may take against you. These are just a few of the Kentucky medical spa insurance policies that medi spa owners and operators should carry. Premises liability exposures are moderate due to the number of clients at the facility. A high standard of care is required when health care services are provided. To prevent trips, slips, and falls, all areas accessible to patients must be well maintained with floor covering in good condition. Aisles and walkways must be adequate and free of hair clippings and debris. Exits must be adequate in number, well marked and with backup exit lighting provided in case of power failure. Steps should have handrails, be illuminated, marked, and in good repair. Housekeeping should be excellent and spills must be cleaned up promptly. Parking lots and sidewalks need to be in good repair with snow and ice removed promptly. Security of visitors in parking areas is often deemed the responsibility of the owner or operator of the premises. Factors to consider include exterior lighting, fencing, and any other security measures. Tanning services may require the use of specialty insurance markets because of the relatively unknown loss potential from long-term exposure to radiation and the possibility of contracting cancer and related diseases. If all or most of the professionals providing services at the spa are independent contractors, the insured's responsibility is similar to a general contractor's responsibility to its subcontractors. In these cases, injuries to independent contractors are part of the premises liability exposure and are not workers compensation exposures. Maintaining a patient's privacy is critical. Examination rooms, check-in and checkout stations must be in private areas so one client cannot view information or overhear conversations regarding another client's confidential information. Professional liability exposures are from the services provided by estheticians and physicians. The exposure increases if the spa fails to conduct thorough background checks to verify employees' credentials, education, and licensing if required by the state. Typical minimally invasive health care treatments are Botox treatments, dermal fillers such as Restylane and Juvederm, laser hair removal, liposuction, permanent makeup, microdermabrasion, skin corrections, and similar treatments. Needles and other equipment must be sterilized and sanitized to prevent the spread of blood-borne infectious diseases such as hepatitis, HIV, and AIDS. Finally, inappropriate touching and sexual misconduct must be considered. If independent subcontractors are used, the applicant should verify that they have separate professional liability coverage. Product liability exposures are for the products sold by the spa to the client for use after leaving the premises, such as shampoos, creams, body lotions, and cosmetics. Some spas supply dietary supplements, vitamins, nutraceuticals, and other ingestible items. If the spa sells non-standard, independently produced, or proprietary products, its exposure is that of a manufacturer. Workers compensation exposures are due to the possible transmission of disease from a client. Gloves and masks must be worn at all times when working around any bodily fluids. Minor cuts, scratches, and abrasions occur with some frequency and may result in infection. Eye and skin irritation resulting from chemicals can also cause losses. Strains and sprains may occur as a result of aiding clients. An employee may be injured due to inappropriate activity by a customer. Because patient information and billings are done on computers, potential injuries include eyestrain, neck strain, carpal tunnel syndrome, and similar cumulative trauma injuries that can be addressed through ergonomically designed workstations. Some spas have mostly independent contractors and very few employees. While the contractual relationships between the spa and the independent contractors determine the workers compensation exposure, regulatory definitions of employee may supersede the contract terms. Property exposures depend on the services provided. If the spa is primarily a physician's office, property will be limited to medical equipment used to perform procedures and standard office furnishings. Ignition sources include electrical wiring, heating, and air conditioning, and overheating of equipment. The equipment is highly susceptible to damage and must be maintained in a sterile condition. If the spa is primarily for relaxation and cosmetology, providing only minor health care services, property exposures will include accumulations of hair clippings and any cooking operations conducted. Regardless of the type of operation, all electrical wiring must be up to code and equipment properly maintained. Excellent housekeeping is required and smoking should be prohibited. Business income and extra expenses may be a concern if the facility requires special equipment due to the time needed for repair or replacement. Property of others exposures may be significant if employees or independent contractors supply their own equipment. Equipment breakdown exposures are high if operations are dependent on medical equipment being available. All equipment should be maintained on an ongoing basis. Crime exposures are usually minor. Most transactions are completed using credit cards, limiting the opportunity for theft. Ordering, billing and disbursement transactions should be handled as separate duties. Inventories and audits should be performed regularly. While guests' property is normally kept in a safe or locker on premises, it can be stolen by employees or other guests. Employee dishonesty coverage does not apply to independent contractors so their access to money and inventory should be limited. Inland marine exposures include accounts receivable if the spa bills customers for its services, audio/visual equipment, computers, physicians and surgeons equipment (which can be extended to include all office furnishings), and valuable papers and records for clients' and suppliers' information. Physicians and surgeons equipment includes items that doctors may take off site to handle emergencies. Duplicates of all records and programs should be kept off site. Business auto exposure is generally limited to hired and non-owned liability for employees running errands. If there are owned vehicles, all drivers should be licensed with acceptable MVRs. Vehicle maintenance should be ongoing and documented. To find what specific Kentucky medical spa insurance policies you should invest in, how much coverage you should carry - and how much your coverage will cost - speak to a professional insurance agent that specializes in insuring medi spas. 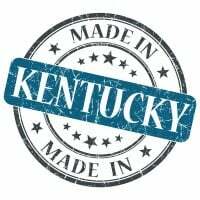 Request a free Kentucky Medical Spa insurance quote in Alexandria, Ashland, Barbourville, Bardstown, Beaver Dam, Bellevue, Benton, Berea, Bowling Green, Brandenburg, Cadiz, Calvert, Campbellsville, Carrollton, Central, Cold Spring, Columbia, Corbin, Covington, Crescent Springs, Crestview Hills, Crestwood, Crittenden, Cynthiana, Danville, Dawson Springs, Dayton, Douglass Hills, Eddyville, Edgewood, Elizabethtown, Elsmere, Eminence, Erlanger, Flatwoods, Flemingsburg, Florence, Fort Mitchell, Fort Thomas, Fort Wright, Frankfort, Franklin, Georgetown, Glasgow, Graymoor-Devondale, Grayson, Greenville, Harrodsburg, Hartford, Hazard, Henderson, Highland Heights, Hillview, Hodgenville, Hopkinsville, Hurstbourne, Independence, Indian Hills, Irvine, Jeffersontown, La Grange, Lakeside Park, Lancaster, Lawrenceburg, Lebanon, Leitchfield, Lexington-Fayette, London, Louisville, Ludlow, Lyndon, Madisonville, Marion, Mayfield, Maysville, Middlesborough, Middletown, Monticello, Morehead, Morganfield, Mount Sterling, Mount Washington, Murray, Newport, Nicholasville, Oak Grove, Owensboro, Paducah, Paintsville, Paris, Park Hills, Pikeville, Prestonsburg, Princeton, Prospect, Providence, Radcliff, Richmond, Russell, Russellville, Scottsville, Shelbyville, Shepherdsville, Shively, Simpsonville, Somerset, Southgate, Springfield, St. Matthews, Stanford, Stanton, Taylor Mill, Union, Versailles, Villa Hills, Vine Grove, Walton, West Liberty, Wilder, Williamsburg, Williamstown, Wilmore, Winchester and all other cities in KY - The Bluegrass State.